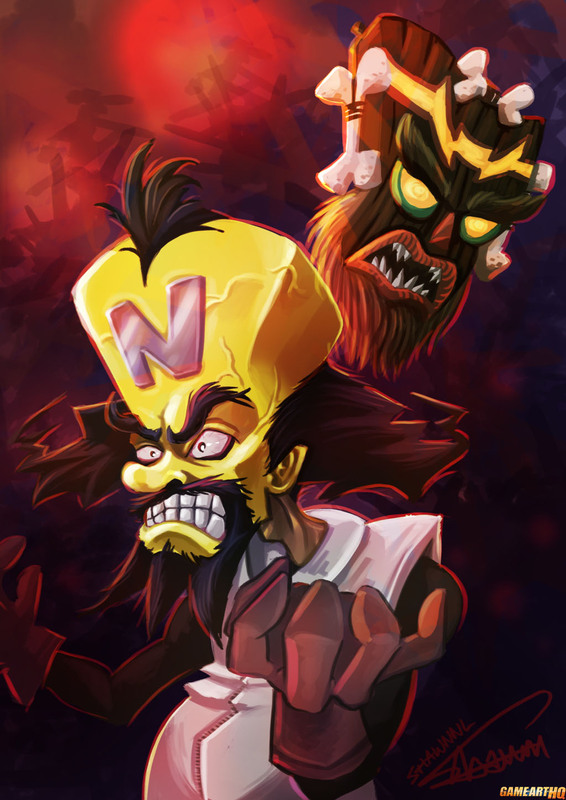 Dr. Neo Cortex, the main antagonist of the Crash Bandicoot games with Uka Uka (The Totem like Thing) drawn by Shawnnl. I wait since years for an official announcement about a return of the Crash Bandicoot series at every E3 or Playstation event while I know that Activision holds the rights but is not using the license now since around 5 years. Crash Bandicoot 1-3 were all pretty awesome games and Dr. Neo Cortex was an awesome and very funny villain there. 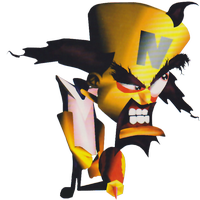 It was especially fun to use him in Crash Team Racing as well. Am still hoping we hear some CB news at the E3 this year ..I mean..at least a total remake of the first Crash Bandicoot would be nice already..how Activision does not see a market about it is beyond me. Thanks a lot @ ShawnnL for being a part of the Game-Art-HQ Community now!